and did those feet - in Scythian times - Matthew, Mark, Luke and John? Matthew, Mark, Luke and John? ...aren't they rather westernised i.e. potentially middle-ages, names for the four writers of the New Testament gospels. Four of the twelve founding members of the so-called Twelve Disciples of (the very greek-sounding) 'Iasus' or Jesus. Symbolism which has its origin in the Twelve Tribes (or Brothers) of Israel. The children of the Egypt-fleeing Tuthmoses? Twelve Tribes? Twelve Disciples? The following British People [British History] video seems to be suggesting that long before, during and long after the sea-faring and land-warring Roman Empire dominated the Mediterranean territories, something called The Twelve Tribes of Israel may have land-migrated north from Palestine via Georgia in SW Russia into northern Poland, Germany and (eventually) Anglo-Saxon England. So, the Twelve Lost Tribes and the arabic fled-fathers of 'Iasus' during the Roman Times are what the 'history books' came to call The Barbarians, those who defended themselves in the northern European hills and would eventually sack Rome? The "Celts" were the real "Christians" and must have converted the "Vikings"? Even the (pagan) Druids that (the pagan) Caesar slaughtered in Anglesey in AD 60, weren't the Druids Celts? 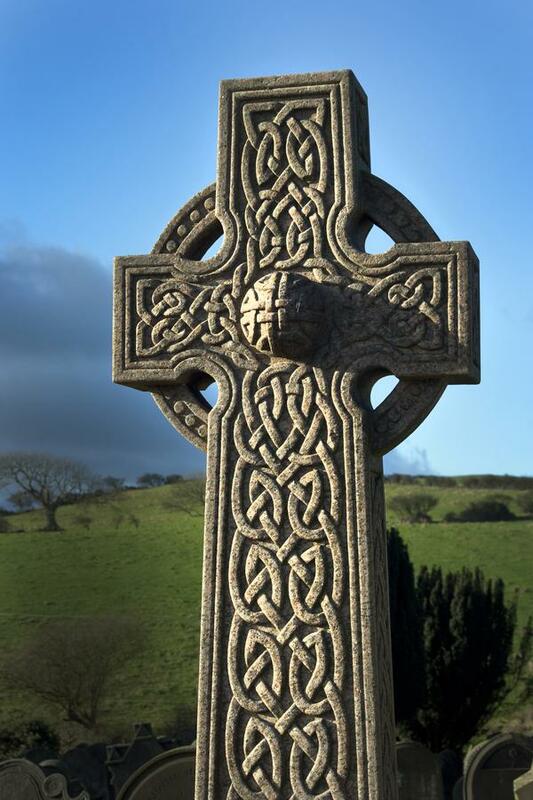 The Celtic Cross is a functional Roman emblem via its use in punishment, but it becomes a Christian emblem? One that spread in the northern lands as a graphically bling'd Viking emblem. East meets west, or west meets east? Surely, something's amiss here... I'm confused, really confused... maybe more research into Scythia will help my quest... maybe more research into Irish Neolithic Burial Mounds will help... but before then, watch. RELEVANT SCYTHIAN HISTORY: okay, here's something interesting about the BARB-arian (or bearded) Scythians from researcher David Peterson (Peter's son, in Viking parlance)... oh, and Scythian burial mounds or Kurgans! which seem to have a similar structure, but pre-date, Egypt's pyramids. So, where does this tie into the above-mentioned Irish Neolithic Burial Mounds and the British burial mound clusters and stone circles which pre-date EVERYTHING except Gobekli Tepe in modern day Turkey? VIRACOCHA SUPPLEMENTAL: and if you wanna really freak yourselves out following these Barbed-Arians around the world you could do no worse than look into the mythology of Ancient Peru and a bearded civilisation bringer aka 'the winged serpent' called VIRACOCHA.